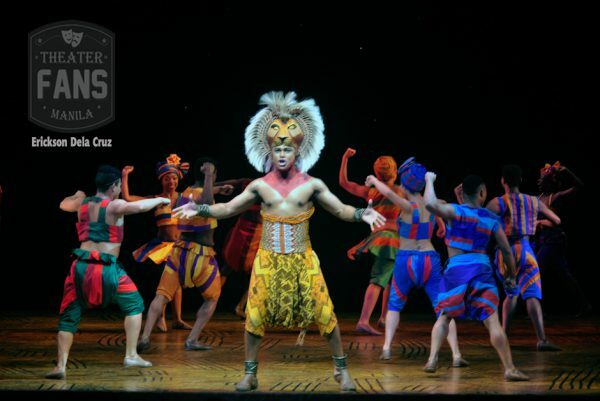 The first international tour of The Lion King has officially premiered in Manila, representing 19 nationalities on and off stage, is the most diverse yet since opening on Broadway in 1997. 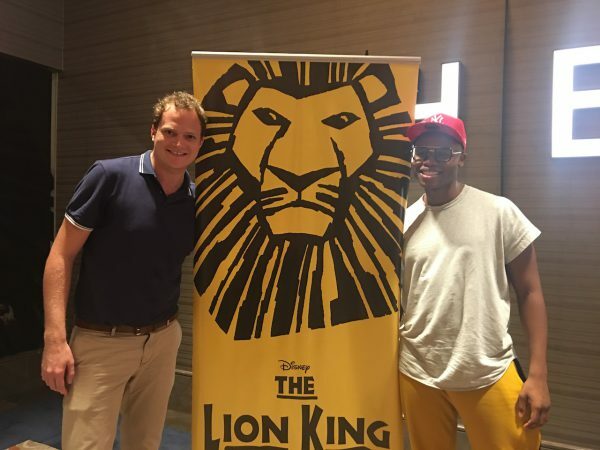 Associate Director Anthony Lyn calls it a “world-class, first-rate production of The Lion King”, easily holding its head high amongst any production of the show anywhere around the world. 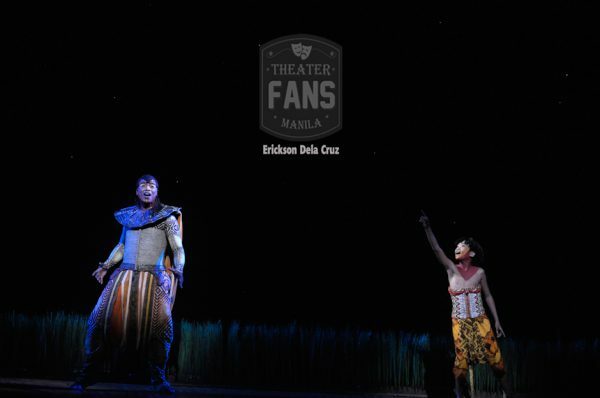 The show runs until May 20 at The Theatre Solaire before it moves on for the rest of the tour. Filipino cast members Juan Gabriel Tiongson, Julien Joshua Dolor, and Omar Uddin who alternate as Young Simba and Felicity Kyle Napuli, Uma Martin, and Sheena Bentoy who alternate as Young Nala will join them as they continue to move audiences around the world. Jamie McGregor, Antony Lawrence, Mthokozisi Emkay Khanyile, Noxolo Dlamini, and Calvyn Grandling who play Timon, Scar, Mufasa, Nala, and Simba respectively talk to us about getting cast, about what makes the show stand-out, and about working with the young Filipino cast. How did you get cast for your role? Antony Lawrence / Scar: Scar was an absolute dream role of mine. Bizarrely on my last job, as it was coming to an end, I said to my agent, we were looking up what the next move could be, and I said I really want to try to be singing for Scar. And this was in London at the time, but the Scar wasn’t leaving London so it all fizzled out very quickly. When I saw the show for the first time, and before Scar even said a line, I thought, I want to do that. I need to do that. Everything about this role is so appealing for me. He’s in my opinion, the greatest Disney villain of all time. I think if you look at the canon of Disney villains throughout the Disney films, when they got to Lion King, the villain sort of adapted and changed. Before it was always Wicked Queen, just pure sort of evil, didn’t really have much to them, just sort of quite one-dimensional. Whereas you get to Lion King and Scar, and he’s not only evil in its purest form because he is incredibly evil, but he’s funny and he’s witty and he’s cunning and he’s charming and he’s quirky and he’s manipulative and all of a sudden you’ve got all these different things to latch on to and you can never play the same scene twice in a way. You can play it a hundred ways. What Julie Taymor says about Scar is, you should never be able to work out who he is. And that sort of sticks with me when I do the show. An audience should never be able to go, oh he’s just a really angry person, or oh he’s just a really funny person. You don’t quite know what he’s going to do. He’s always on that fine balance of he can really turn on a knife and attack. He’s a lion. He’s a dangerous animal. And he’s so much fun to do. Noxolo Dlamini / Nala: It’s my first time playing Nala. I’ve never played Nala before. I had auditioned for her but never got the chance to play her, which is fine because I get to experience her now. I think it hits me once in a while that I’m actually playing the role now. I’m not ensemble, I’m Nala! I don’t know if it’s hit me yet. I don’t know if there’ll be a day where I go, “Oh my gosh, I’m actually Nala!” But it comes in bits and pieces, and I’m just like, “Oh shoot, I’m here.” So it’s my first time and it’s phenomenal. It really is. Calvyn Grandling / Simba: This will be my second time playing the role of Simba. I was understudy in South Africa, and Germany, and London, and I played the role in Taiwan. It’s an amazing experience. Almost 10 years ago I was Simba in Taiwan. I’m a different person right now. I’m a different performer so I’m really looking forward to bringing what I’ve learned all over the world and bring it to this country. Why do you think The Lion King continues to resonate and be relevant after 20 years? Antony Lawrence / Scar: It’s such a unique experience in the theater. It’s like something you’ve never seen before. You can go to Broadway and watch the show, you can go to London and watch the show, you can come here in Manila and watch the show, and it’s exactly the same show, it’s exactly the same creative team, it’s exactly the same costumes, lighting design, sound design, everything is exactly the same in that aspect. But what’s unique about The Lion King is every cast is so different. The amazing thing about this production is that it’s the best of the world. 19 different countries have come together to put this show on and everyone is just as important as everyone else. It’s a beating heart. The ensemble sounds influence how I say the lines because they fire you up in that way. It’s like having your own film score. And I truly believe that when you watch the Circle of Life as an opening, which in my opinion is the greatest musical theater opening of all time, you could watch that 10 times and you’ll see 10 different things every single time because you don’t know where to look because there’s so much going on. Mthokozisi Emkay Khanyile / Mufasa: On top of it being this incredible spectacle, it’s the story in itself. You could read it on paper and cry. It’s that beautiful. It’s that moving. So I just think the universal themes of the prodigal son, coming-of-age, having to face your past, to then become the best version of yourself, you could put that anywhere and it would still be as beautiful. So you’ve got an incredibly solid core, and then all the spectacular elements around that. So wherever you slice this production, you get a full experience of sound, of theater, of music, of emotion, of story-telling, of colors and design. Everything is just amazing. Calvyn Grandling / Simba: It’s the heartbeat. It’s the heartbeat of the world. It’s got that universal story. It’s almost like taking the bible, the Koran, and all of those great books that give us life and meaning, and putting that in the script. Books about love, books about humanity, books about forgiveness. It talks about peace, it talks about struggle, and it can’t be more relevant as we need it so much in this world right now. It’s a great story. 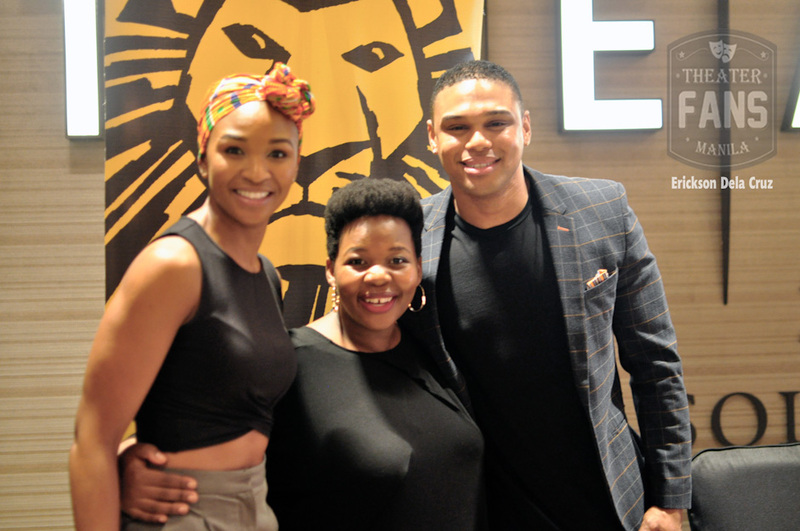 Noxolo Dlamini / Nala: Bringing the Bible, the Koran, and all these different beliefs together, it’s so special because that’s what The Lion King has done. It’s really drawn on so many cultures from all over the world and really created just one magnificent show. The movement is Javanese, the make-up is from Africa, the sounds from South Africa, to name a few, and it’s just so special because I feel like everybody has a part in it. From wherever you are in the world, wherever you watch it in the world, you can go, ‘We’re represented.’ It’s special. It’s beautiful. Jamie McGregor / Timon: There are so many different art forms in one show. You’ve got the American jazz, you’ve got the traditional African stuff, specific stuff as well if it’s in Swahili or Xhosa. It’s not just Africa. It’s very specific parts of Africa. Indonesian, Balinese, and just classic Broadway numbers. All those things put together in one show is pretty cool. 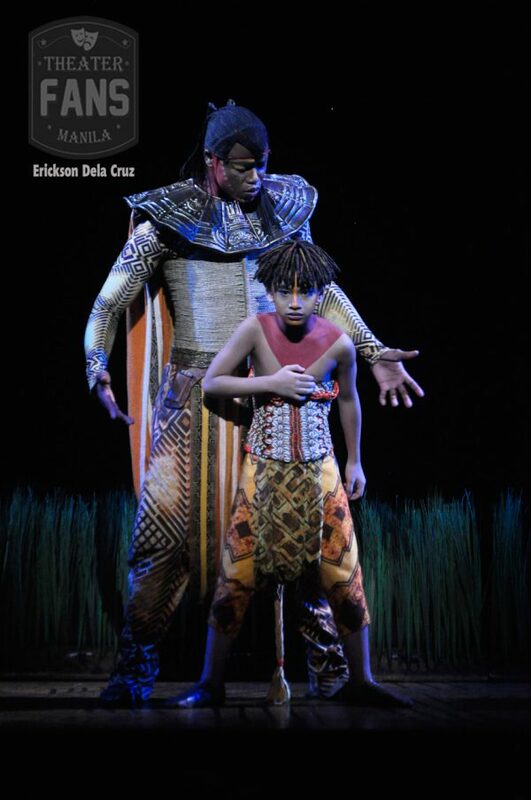 As Mufasa, what was it like working with the Filipino kids who play Young Simba (Juan Gabriel Tiongson, Omar Uddin, Julien Joshua Dolor)? Mthokozisi Emkay Khanyile / Mufasa: They’re really just the most precious souls. They’re funny, they’re smart, and they make really good acting choices. I’m not surprised honestly, but it is such a marvel to work with them. They all bring different elements to Young Simba, and you see one do it, and you go, ‘Oh my god, that was perfect!’, and you see another one that does something completely different. They really bring themselves into it. All they have to do is just say the lines. They don’t need to put on funny voices. All they need to do is just get into make-up and costume and say the lines and that’s exactly why they were cast because they already had everything it takes to be these young characters. It’s really lovely working with them. What has it been like working with such a diverse cast? Noxolo Dlamini / Nala: I love meeting people from all over. It’s a learning experience you know not just because they’re people from different countries but just different people in general. Working with different people can be very tough. But you start to realize that we’re all human. We’re all here because we want to be in this incredible musical. And we all have our challenges in life. We may not put them out and wave them so everyone can see it, but it’s just realizing that we’re all human and we need to be nice to each other. And I find that the scars are so nice. It’s just lovely because I think we realize that we’re all away from our families, we all have our stresses. We’re all trying to get this musical to be as amazing as it is. We’re all fighting for the same thing. Calvyn Grandling / Simba: There’s never a dull moment. It’s beautiful. It’s humbling. Previous SNEAK PEEK: Watch Cady, Damian, Janis and The Plastics in new ‘Mean Girls’ Video! Next #TFM7for7: Win Tickets to 7 Shows!